Quality work is a customer expectation and a corporate obligation. 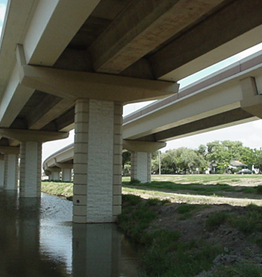 Williams Brothers’ commitment to quality is manifested in our completed projects, which have received awards for high quality work by TxDOT, Texas Quality Initiative, AGC of Texas, AGC of America and the American Road and Transportation Builders Association. Delivering high quality projects, quickly and safely using project-tested systems and qualified personnel is of utmost importance to Williams Brothers. 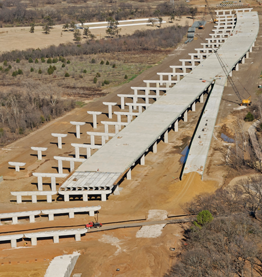 With registered professional engineers on the team coupled with its vast experience, the WB team has the commensurate expertise to tackle any highway project. The corporate structure fosters the development of task and subject matter expertise. Crews are organized around the performance of specific, specialized tasks which develops exceptional capabilities and efficiency levels. The WB team has maintained a perfect record of on-time project delivery since 1995 encompassing more than 100 projects. 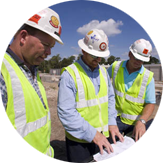 Timely project completion is accomplished through the use of detailed scheduling meetings to review project status and establish priorities. Detailed planning coupled with a highly motivated workforce and the philosophy of personal accountability results in timely completion. It always counts. The management team (corporate officers) holds over 150 years of construction experience. When you consider the field team, the experience expands exponentially. The WB team has put into place over 300 projects spanning more than 60 years. Accidents are a sign of inefficiency. Our motto is proudly displayed – “A Safe Company to Work For”. It is implemented through a vigorous safety program and demonstrated by the results. 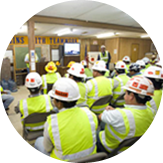 WB maintains one of the lowest accident incident rates in the US for highway construction firms. Key elements of the program include drug and alcohol testing, training, and incentive based behavior modification. WB is committed to continuous environmental improvement. Using a “team” approach, our Environmental Director leads the Company’s Environmental Committee through regular reviews of the effectiveness of company processes and the search for newer and better approaches to protect the environment. Combined with monthly environmental training to enhance awareness and education, WB has made significant strides to minimize its environmental footprint. 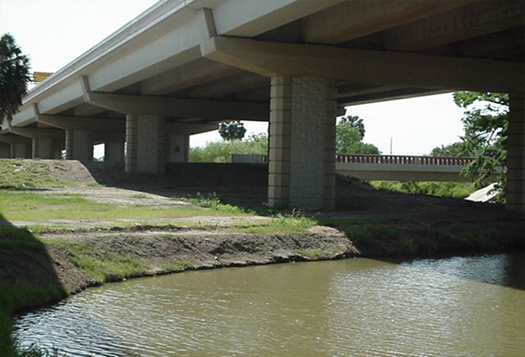 Williams Brothers’ work has received numerous awards including the National Partnership for Highway Quality Award, TXDOT Texas Project Award & the American Road & Transportation Builders Association (ARTBA) Globe Award. 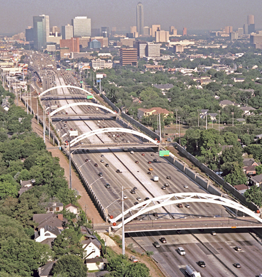 The U.S. 59 Gateway project widened nearly a mile of freeway close to downtown Houston. 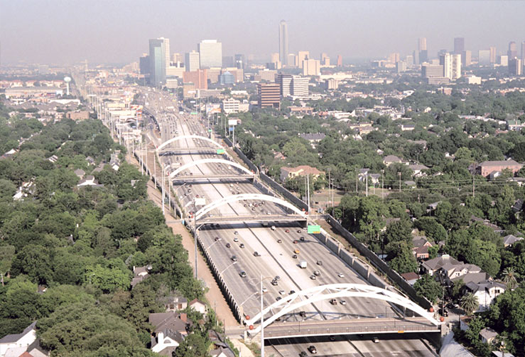 The four distinctive steel tied-arch bridges clear span over 224 feet over the freeway. They carry two lanes of traffic, two bicycle lanes, a utility parapet in each direction and sidewalks outside of each arch. Their total widths are 60 feet each. The arches, 45 feet apart, are fabricated from steel plate and braced with rectangular HSS. The deck is composed of full-width precast and pre-stressed panels that are post-tensioned and overlaid with composite concrete. The Proin Libero i s located in Dallas Texas and is one of the most class aptent taciti sociosqu ad litora torquent per conubia nostra, per inceptos himenaeos. Curabitur sodales ligula in libero. Morbi lectus risus, iaculis vel, suscipit quis, luctus non, massa. Fusce ac turpis quis ligula lacinia aliquet. Mauris ipsum. Nulla metus metus, ullamcorper vel, tincidunt sed, euismod in, nibh. Quisque volutpat condimentum velit. 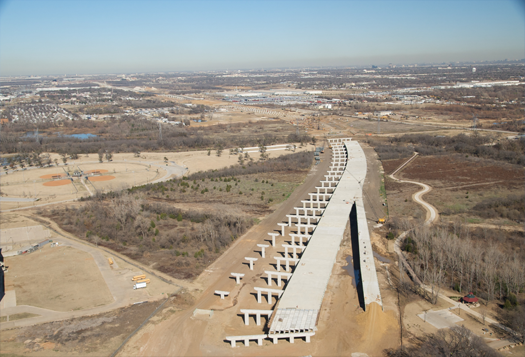 The project was the single largest bridge job ever let by TxDOT with over three million square feet of bridge deck, including a Trinity River crossing and two creek crossings. This $238 million new location job involved construction of 4.2 miles of mainlanes, frontage roads, cross streets, and slip ramps north of IH 30 to SH 183, including 13 new bridges. NTTA purchased the route from TxDOT subsequent to bid letting. WB averaged $10 million per month in construction, making this assignment the fastest highway project ever constructed in Dallas.